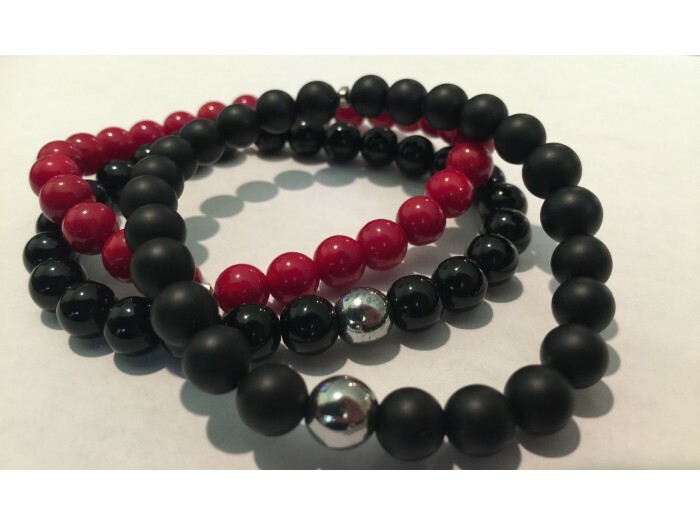 Our healing beads bracelets are made with semi precious stones -- onyx (black - shiny or matte) and red coral. Onyx is a protective gemstone that releases negative emotions, promotes health egotism, self control, and intuition. Red Coral is a healing gemstone that helps with self-transformation and creating inner peace. All bracelets made in the USA. One size fits most.